Collecting the seeds from pea plants is probably one of the easiest gardening jobs you can undertake as the same pea we eat is also the seed we sow. 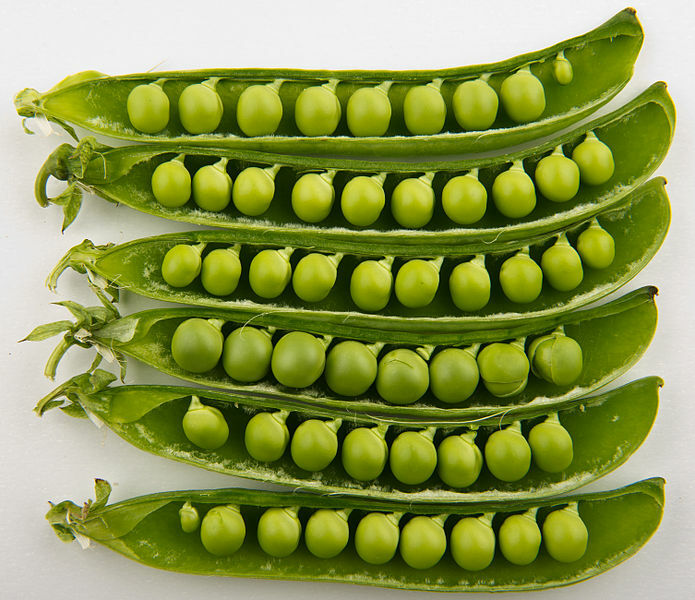 It is just a matter of allowing the peas to mature on the parent plants. You will know when they are ready as the pods will go brown and the seeds inside will begin to rattle. If the weather is bad when you come to collect them you can pull up the entire plant and bring it into the dry. After a few days place the dried peas into an envelope and label with the variety and date of harvest. Then store them in a cool dark place where they should remain viable for up to 3 years. Just make sure that they are out of reach of rodents which given the opportunity would love to take advantage of the free feast! To ensure dry conditions add a desiccant to remove excess moisture. Suitable materials include calcium chloride or silica gel. When you are ready to sow your stored seed they will need to be soaked in warm water for 12-24 hours before planting.